This post is sponsored by BabbleBoxx.com on behalf of Nad's but the thoughts and opinions expressed in this post are completely my own. Hey guys! 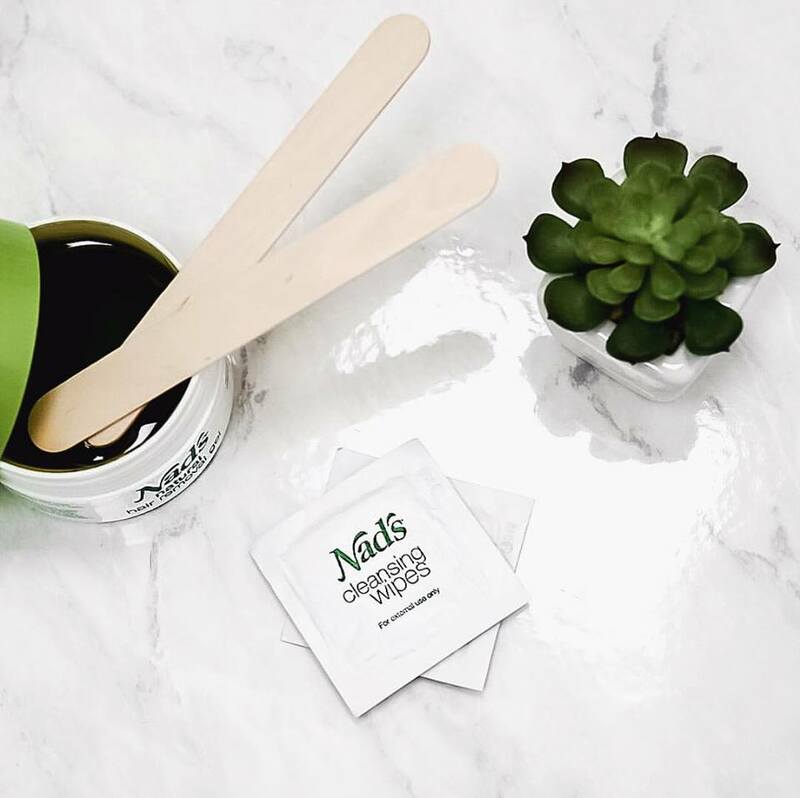 I recently added Nad’s Natural Hair Removal Gel into my beauty regimen and it has quickly become my favorite hair removal product. I love to add DIY beauty products into my routine and love that this is a product that you can use yourself at home. The best part is that the Nad’s gel was created with all natural ingredients right on the creator’s kitchen stove with a formula that has been unchanged since its creation. It is an all-natural way to remove unwanted hair in the comfort of your own home. My favorite part is that the gel is made up of all natural ingredients (no toxins or harsh chemicals going into your pores!) including sugar, water, honey, lemon, vinegar, and date extract. It is a no heat gel wax that naturally melts to your body temperature when applied. Meaning no hot wax burns or hard to remove hot wax from sensitive skin! Best of all since it is made up of all natural ingredients it easily washes away with water for an easy cleanup. Nad’s natural gel is gentle enough to work on all skin types and areas of the body including legs, arms, bikini, underarms and face. It is popular amongst both men and women as it can take care of any stubborn hair removal. It is hypoallergenic and has been dermatologically tested. The best news? No razors needed here ladies! The gel removes the hair straight from the root- meaning no stubble with results that can last up to eight weeks. This is such a great alternative to spending hundreds of dollars at salons & spas for painful wax hair removal, while saving you from stubble, cuts and razor burn and keeping you away from products filled with toxic chemicals. It is easy to use even for beginners and I’m sure you will love adding Nad's Natural Hair Removal Gel to your beauty regimen as much as I have.